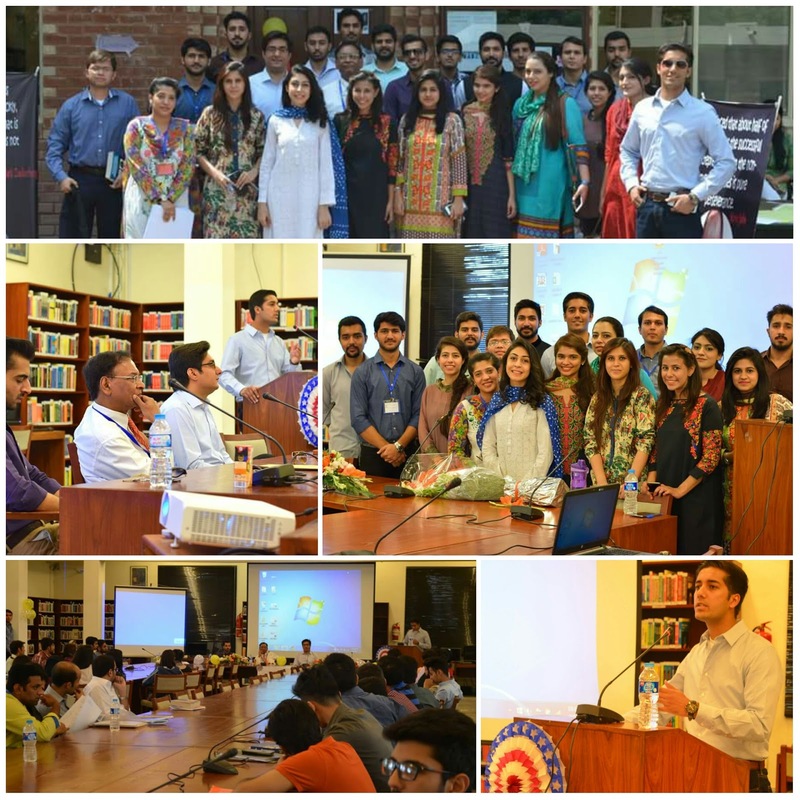 The Lahore School Finance and Investment Society (LSFIS) hosted orientation on 11 September 2015. The event was specifically aimed for freshmen students but was open to all irrespective of their Year or Degree. The main objective was to introduce the society to the freshmen, providing a platform for the students to learn more about the finance and investing world. The students were also informed of major past and upcoming events and activities that would help them develop practical skills and educate them about the workings of the financial world. A game of Chinese whisper was conducted to break the ice and then Muhammad Bin Tariq, Former Vice President spoke about the past contributions. Hassan Sajjad, President of LSFIS introduced the society’s members and future agenda. Mahum Tofiq and Izza Sabahat also spoke about the future plans of the society. Dr. Shakil Faruqi, the Patron emphasized the need for students to have the understanding of the financial world to be successful in life. A small quiz was done to keep interest and gifts were handed out. 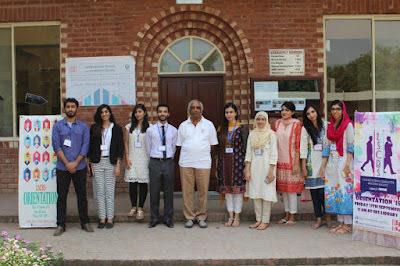 Lahore School Character Building Society held its first orientation on 11 September 2015. 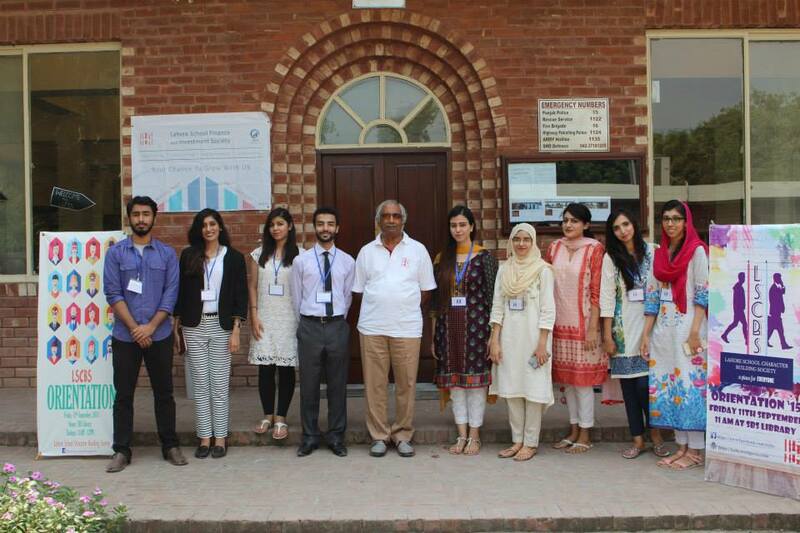 The orientation aimed at familiarizing students with the objectives of the society. Tanya Qamar, the Vice President of the society, answered question such as ‘What the society is about?’ ‘What are we trying to achieve?’ and ‘How we would be doing it?’ Muhammad Beebrak Gurchani, the President of the society, assured people that our aim was not to act as a moral police but to aid students in recognizing their potential and being valued assets of the society. 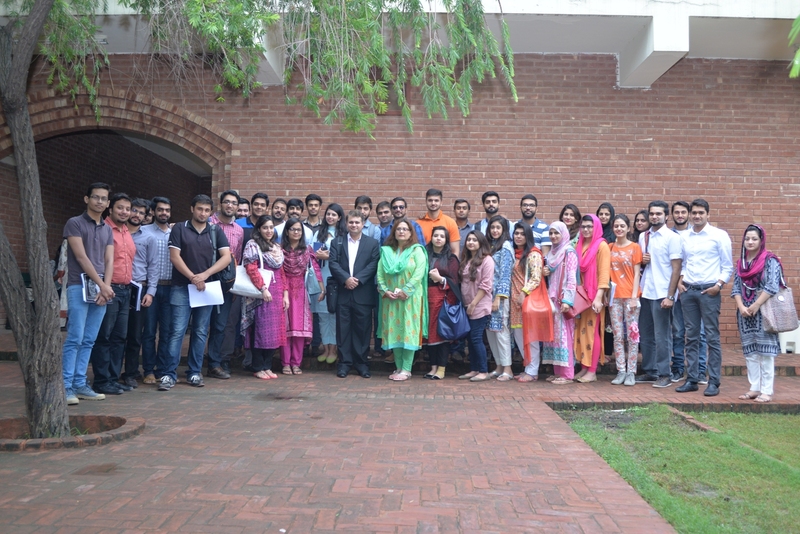 Mr. Amin Piracha, Head of Insights at Nestle delivered a lecture on consumer behavior to the graduating MBA class. Mr. Piracha gave a very insightful presentation focusing mainly on youth as a consumer. Mr. Piracha said that behavior and motivation were vital aspects of consumer behavior. He then discussed cognitive, affective and co native attitudes. The speaker said the nowadays companies were developing apps to come closer to the consumer. Mr. Piracha discussed digital marketing and its role with relevance to Nestle. He also talked about career choices and gave helpful advice to students regarding choosing a career path. Mr. Adeel enlightened students on the pre-requisites for corporate careers and said one should have soft skills such as integrity, fair mindedness, persuasive and congenial personality, ability to cope with conflicting point of view, function under pressure and demonstrate discretion. While talking about hard skills he said core computer proficiency, high impact written and oral communication and incisive analytical skills were very important. The importance of high salaries to circumvent bureaucratic corruption has been widely recognized in the policy debate. Yet, there appears to be much reluctance when it comes to the implementation. In this paper, we argue that deterring corruption through wage incentives may become prohibitively expensive that the government finds it optimal to accept higher net revenues at the expense of honesty. Deviating from the existing literature, we set an endogenous monitoring technology that allows us to capture the dual role of auditing, as a complement with and as a substitute for wage incentives to deter bribery. We find that the government is better-off either completely eliminating corruption or accepting corruption by offering wages lower than the market wage. Offering public wage premium that does not deter bribery is suboptimal. When it is optimal to deter bribery, the government can do it either through wage incentives or monitoring. The role of wage incentives decreases in societies with higher level of dishonesty. Over the past few years the Pakistani economy has faced a host of challenges and there is a general consensus that economic growth has slowed down significantly. 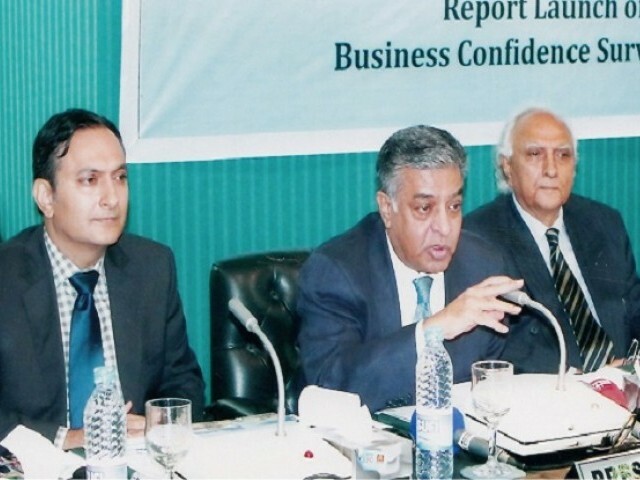 Presently, the Pakistani economy has begun to stabilize and during this time it is critical to develop policies that take into account both the long term economic needs of the country as well as the short term needs of the business community. In March 2015, Lahore Chamber of Commerce & Industry (LCCI) and the Lahore School of Economics signed a Memorandum of Understanding which established a link between academia and the business community. 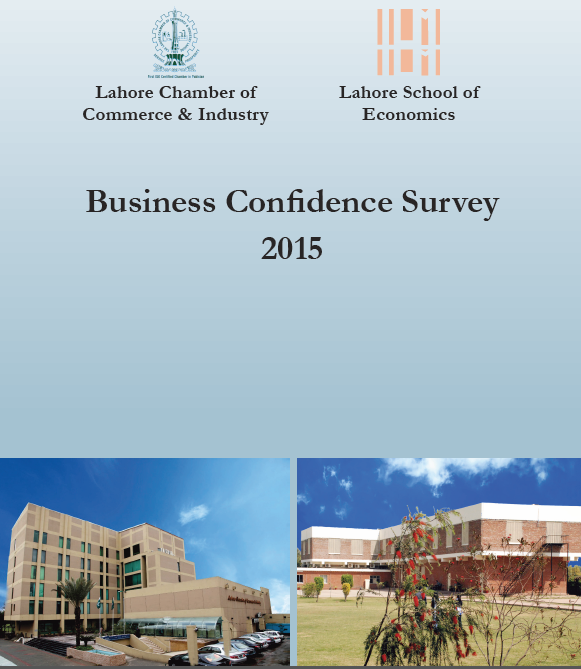 As part of this collaboration, the Lahore Chamber of Commerce & Industry and the Lahore School of Economics have recently conducted a business confidence survey of firms in order to determine industry specific trends as well as the general macroeconomic trends. 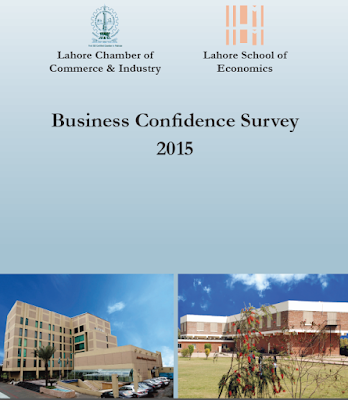 The survey was conducted with a variety of firms across three sectors, the manufacturing sector, the services sector and the retail sector, and the results from the survey show that the feeling amongst the business community is cautiously optimistic. 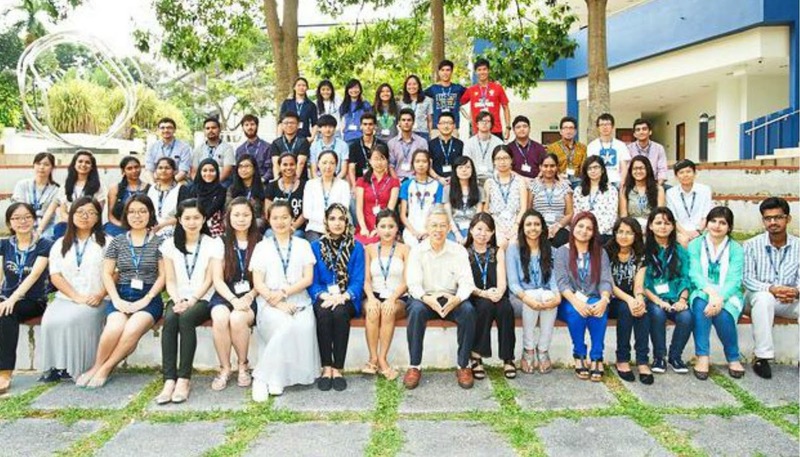 Amongst a group of 15 Pakistanis - chosen from 450 applicants from around Pakistan - Tooba Sultan, Lahore School student of BSc was selected for the Summer Program at National University of Singapore (NUS) because of her academic and non-academic achievements. The Summer Program is sponsored by Sajjad Foundation, Habib University, Al-Karam Textile Mills Limited, Hilton Pharma Ltd. and Bank Islami Pakistan Limited. 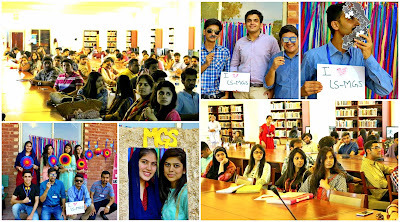 The Lahore School Marketing Society held its second annual orientation session on 10 September 2015. The holders of official positions in the society, both past and present, including Sajid Abudulla, Nida Fatima and Yilmaz spoke to the enthusiastic listeners and summarized the achievements of the Society in the previous academic year. A video on these achievements, and introduction of new position holders, was also shown. 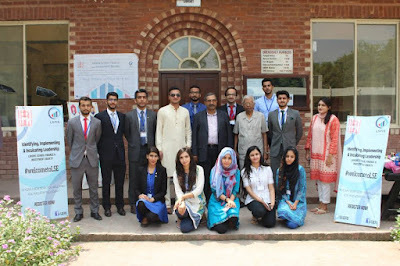 Lahore School ‘Entrepreneurial and Business Society’(EBS) second annual orientation was held on 9 September 2015. It was attended by over 200 students, both undergraduate and graduate. Prof F.A. Fareedy took the opportunity to engage the audience in his talk about why money is important? Moiz Hijazi, former president of EBS, shared his experiences as an entrepreneur. He also covered last year events which included Lahore School Business Fiesta'14 and Lahore School Entrepreneur's Exhibition'15. Hamza Tariq (President, EBS) explained about his own journey as a young entrepreneur during his second year at the university when he opened up a small restaurant. Wasif Arshad and Aniqa Gohar, the vice president of the society informed the audience about the upcoming events for 2015-16. The annual orientation of the Lahore School Management Society (LS MGS) was held on September 7, 2015 at the Lahore School of Economics. This orientation showcased the numerous ventures undertaken by the Society in the first year of its inception. After the inaugural orientation of the society, it has organized the Lahore School Case Study Competition, Campus to Corporate Mentorship Workshop and Enhancing Job Interview skills. 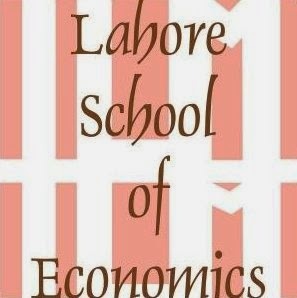 In the previous year, the council members and representatives constantly endeavored to provide appropriate podiums for the professional grooming of the students of the Lahore School of Economics. Lahore School of Economics arranged a four weeks study tour to Macquarie University, Australia in the month of August. 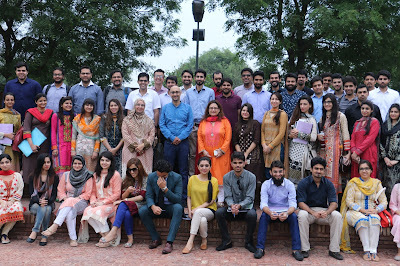 Eight students (Beenish Amir, Hamzah Imran, Hira Waheed, Kiran Aftab, MehreenIzhar, Muhammad Ali Imran, Rida Nadeem and Shahrukh Khurram) enrolled in the third year of their bachelors program along with Ms Ayesha Khaled (Assistant Manager External Relations) visited Macquarie University from the August 1 to August 29, 2015. During these four weeks, the students attended various lectures in the Business and Economics departments and interacted with professionals of the field. They also got a chance to visit the Royal Bank of Australia and HLB Mann Judd Business and Financial Advisers. The Lahore School’s CSR in collaboration with Friends Public School distributed “MILO” –Chocolate milk - to 500 students at the School premises on the 27 August 2015. 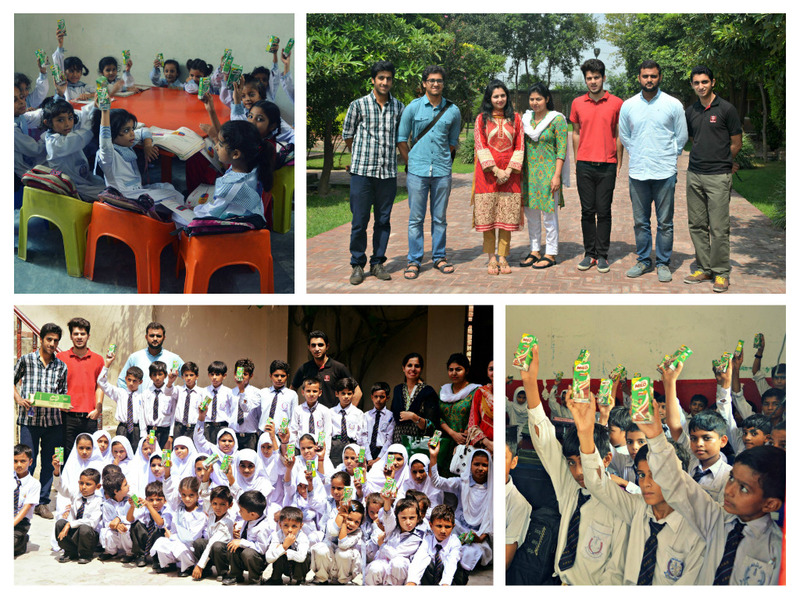 A group of Lahore School student volunteers enthusiastically participated in the event. 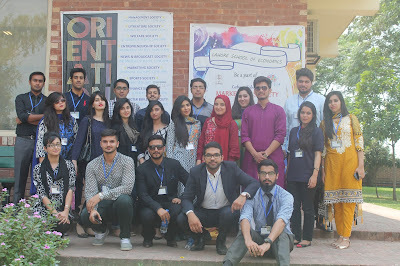 The event proved to be a great learning experience for the students, who were able to visualize the need for social entrepreneurship in different areas of society.